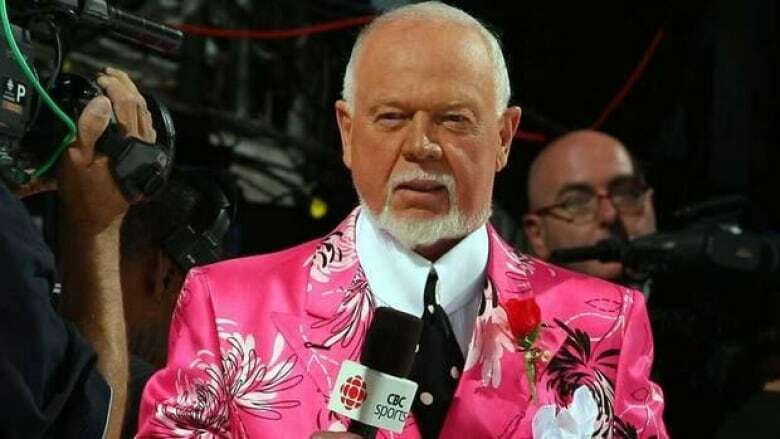 Don Cherry and Ron MacLean agree sports leagues need proper codes of conduct around media access when players are undressed. The two sparred on the Coach’s Corner segment of Hockey Night in Canada over the question of who should be allowed in what dressing rooms with the former saying he is still uncomfortable with women being in men’s change rooms, while MacLean countered with a belief that all sports on the senior level, no matter the gender, should be open. "I don’t believe, and I really believe this, that women should be in the male dressing room," said Cherry, the former Boston Bruins’ coach who recounted how uncomfortable he was almost 40 years ago when he encountered his first female journalist in an NHL room. "Guys were walking around naked, and I turned around, I heard a woman’s voice … and she’s asking me about the power play," said the long-time commentator. "I said ‘Let’s go outside.’ And she said ‘I’m not embarrassed.’ And I said ‘I am.’"
MacLean offered that women should be allowed in the dressing room, but added "I do believe a lot of guys take advantage and they are sexist." There should, he said, be equal opportunity. "You can create a code of conduct," he said. Later in the segment, MacLean summed up. "Let’s just agree that as long as there is a professional code … and I think the players violate it all the time, they’re having fun, but they go too far." Cherry agreed there are players in dressing rooms who "take advantage of it." Cherry had a word of warning for Toronto Maple Leafs fans hoping to play the Montreal Canadiens in the opening round of the NHL playoffs next week: Be careful what you say. The Coach’s Corner commentator was speaking in response to a Saturday morning headline on the front page of the Toronto Sun newspaper’s sports section that read "We Want You!" An accompanying in-depth story by hockey writer Rob Longley dealt with how well the Leafs match-up with the Habs, a team they beat three out of four times coming into Saturday night. Cherry, holding up the newspaper, said he could imagine Toronto coach Randy Carlyle wasn’t happy when he saw the headline because he would know the result. "Oh yeah, I can see [Montreal coach Michel] Therrien now," said the former NHL coach of the year. "Hey, wait a minute…"
And Cherry had a painful memory to draw on. "My first year [with Boston, 1974-1975] we smoked Chicago [8-2 in the first game of the playoffs] and Tony Esposito was in net and the headlines [in the papers] were ‘Tony is finished,’ and the whole deal. I almost fainted. "The next game you couldn’t get a pea by him, and I think we outshot them, 52-18." Boston lost that game 4-3 in overtime at the Chicago Stadium and then dropped the final game of the best-of-three preliminary series the next night, 6-4 at Boston Garden. Even though no Leafs player said anything in the Toronto Sun article directly about preferring the Habs, Cherry believes in the Montreal dressing room they’ll be saying "somebody must have said something."